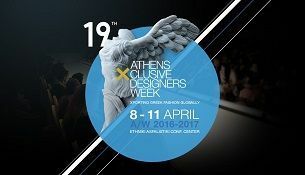 The international Fashion Week of Athens, Athens Xclusive Designers Week announces with great pleasure the participating designers and the fashion brands from Greece and abroad that will present their collections for the season Fall/ Winter 2016-2017, from the 8th until the 11th of April, at the Conference Center of Ethniki Asfalistiki. Twenty five fashion shows by well-known fashion brands & designers and upcoming designers, showrooms full of accessories, design competitions, live DJ's and the New Designers Awards are part of the 19th Athens Fashion Week. The catwalk of 19th AXDW will welcome: .LAK Lakis Gavalas, Celebrity Skin, Funky Buddhα, Gio Sourgiadakis, Jaroszewska, Kathy Heyndels, Makis Tselios, Notis Panagiotou, Panos Apergis, Tassos Mitropoulos and TOPSHOP by Sotris. Xclusive Elements: AXDW, faithful to its vision to promote the maximum of Greek creativity, presents also this season the Xclusive Elements, a specially designed installation for Greek fashion accessories creators, that they will have the opportunity to present representative items of their collections, and associate with the media and the buying public of AXDW! Fashion Design Project: Everyone who believes that has talent in design can take part in the open design competition Fashion Design Project, regardless of profession and studies and compete for a place in Young Designers of next event, by «winning» the votes of public through the open online voting. 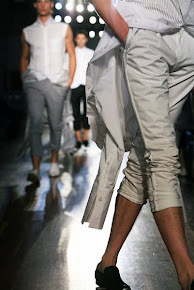 So as to take part, the candidates can find more information on www.axdw.gr, in the tab Fashion Design Project. It seems to be a great and fashion event! So save the dates!